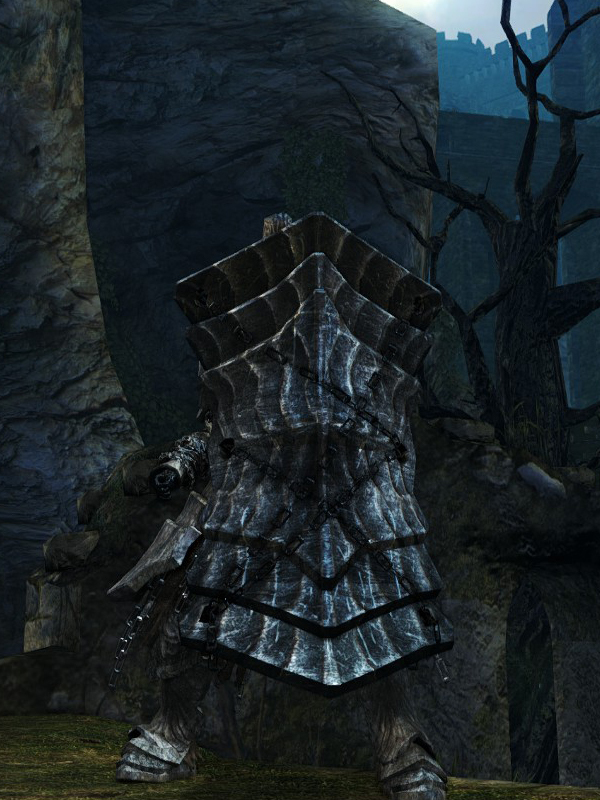 Greatshield of the legendary Havel the Rock. Cut straight from a great slab of stone. on par with the Dragon Tooth. The parry/shield bash (when held in left hand) and strong attacks (when held in right hand) are replaced by a buff that boosts your poise and gives your body a Heavy Deflection effect that lasts 30 seconds. This buff requires you to meet the strength requirement, otherwise the parry/strong attack will be the slow, heaving shield bash. Consumes 300 durability points per use.